Directory Classifieds Themes listed here are totally best option available for you to kick start your new venture in a minimum time period and low cost. Building a theme from scratch can cost you simply around 1k -2k $ if you are hiring a freelancer or a design firm. 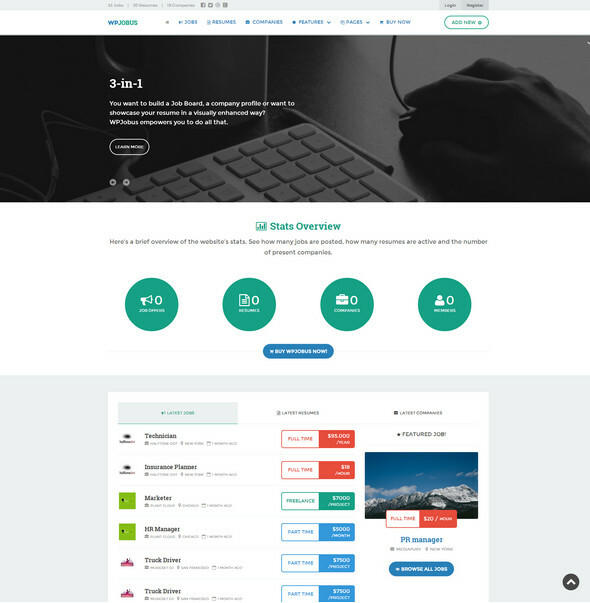 Pre built premium themes are here to offer a cheap yet better solution for startups with great ideas. Please try to look into all wordpress directory themes here before deciding on one, as you may be interested in features which might be lacking in some listing WordPress themes. Take notes on essential features you like to have on your theme and choose the one with most features, later you can implement the additional features by yourself through plugins or paying off a freelancer with a very small cost but it will still save you thousands of dollars. New to directory, listing, job portal themes ? If yes it is actually pretty easy to start off with these themes once you grasp the concept of how they work. Most themes here will not use posts or pages to add new listing as instead they provide a new custom product page to add new listings, events, marking places on map etc. The documentation with the themes will help you greatly if you are new to this type of theme. I will update you if i get around any free WordPress themes for directory listings or job, coupon portals. Let me know if you have found one recently. 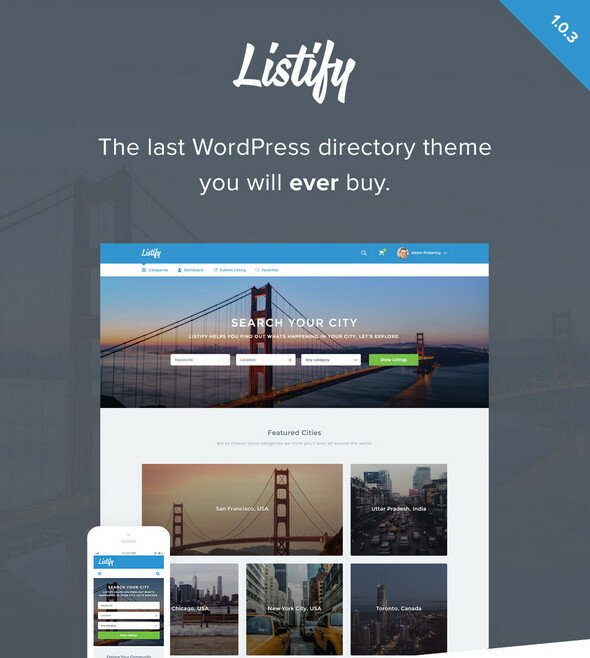 A professional and ultimate directory listing theme for WordPress to add everything in your locality or for global search results with a powerful search integration. Mobile friendly website design is essential to rank in google search results and this theme is optimized for mobile devices as well. A new wordpress directory theme released yesterday for ultimate control over your product listing with a directory organised theme. 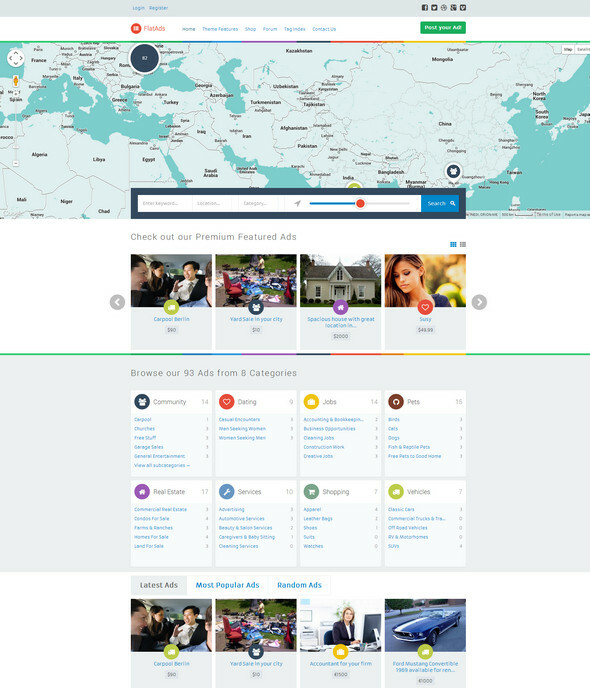 With a strict flat design and a great map integration this theme is totally amazing to look at. It even features a front end submission for others to add a listing from the website theme. Build a professional business listing for all kind of services with a yellow page style listing with great features like Paypal integration, Facebook login, membership levels and a review system and much more. Geo location support with Google map integration is a plus point for directory listing websites and this theme has support for it. The responsive design will hold key for modern ventures with woo-commerce support for any product sales. The theme easily let you categorize a service on the map with correct location pointer. Once you have added the services through the themes product page then only the search plugin will be active to search for. A metro design theme which works well for directory and listings for your established or new business. 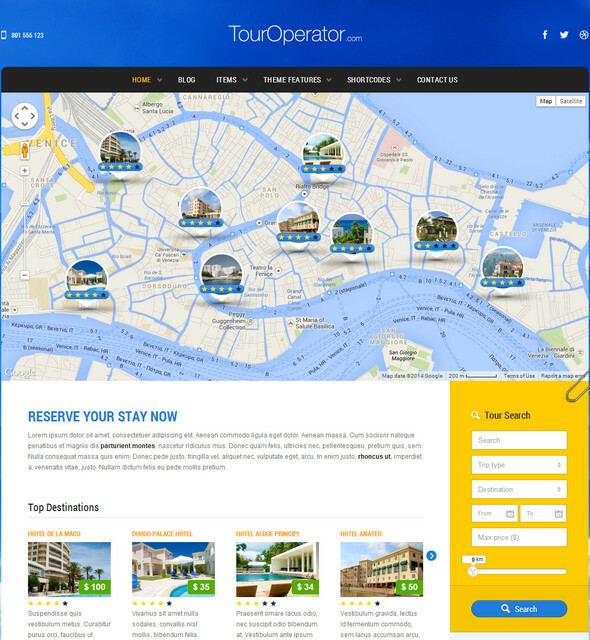 Tag your business either its hotels, tourism or any local, online business with this feature rich theme. Includes a search manager to get a better results from the product categories you have added. Overall the theme is responsive, great to list huge number of categories and likewise give better result through the inbuilt search engine. A front end listing submission integrated with Paypal & stripe make this listing theme quite useful for both new and expert wordpress users. 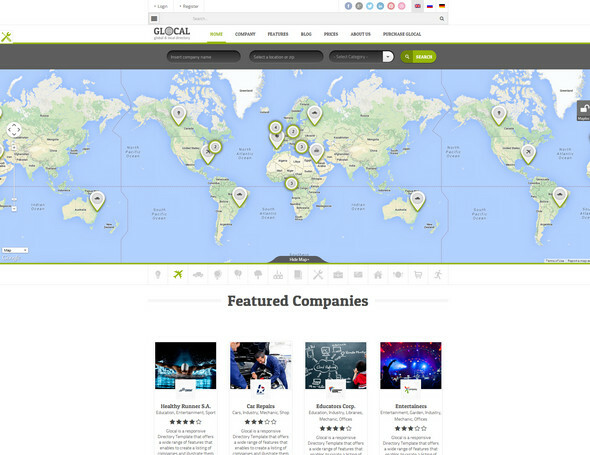 Map plugin is the main feature for this responsive theme with a fullscreen returned exclusive to make pointers. 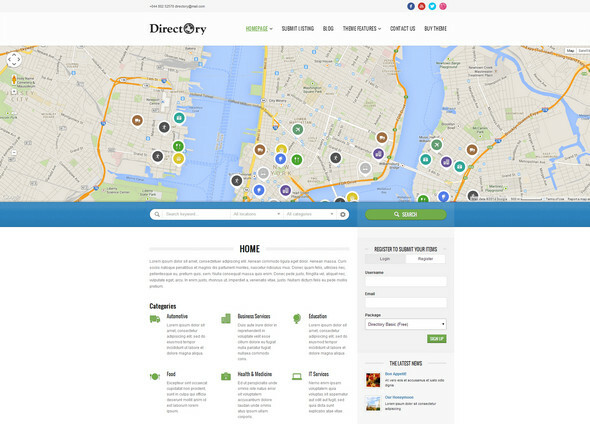 Make guest or registered users to submit property to your website with this directory theme in no time or hassle. List your favorite hotels, restaurants, event, rooms or anything you deem it necessary for your business website. Accessing the website in mobile is user friendly with its fluid responsive design, map locking feature, therefore choosing specific event based on your location. 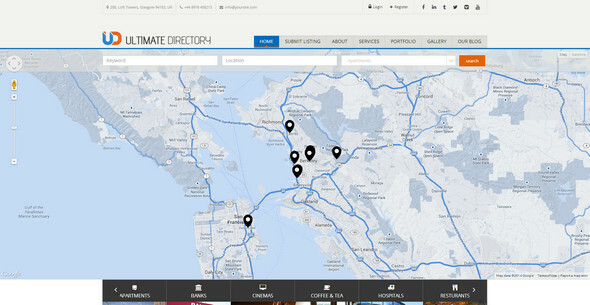 Find the unique map pointing techniques including with this directory listing theme making your whole website interactive to a different level. A reservation system is included with this theme enabling you to setup a powerful website for hotel operator, tour managements etc. Theme also gives an option to pinpoint tourist places with much better detail so that users can find their interest straight away. 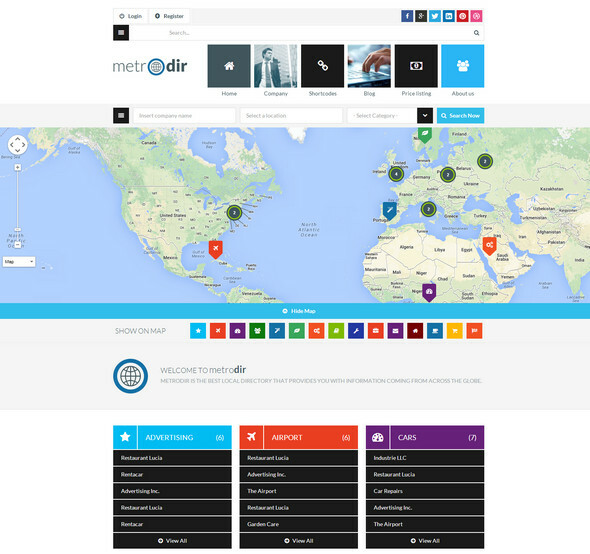 This portal might be the biggest responsive theme for directory listing management providing a ample search engine with responsive slider and a beautiful map showcase which lets the administrator pin point the necessary directories, hotels or any place of interest. Other features include ajax search, wpml multi language support, advertising spaces, premium packages etc. 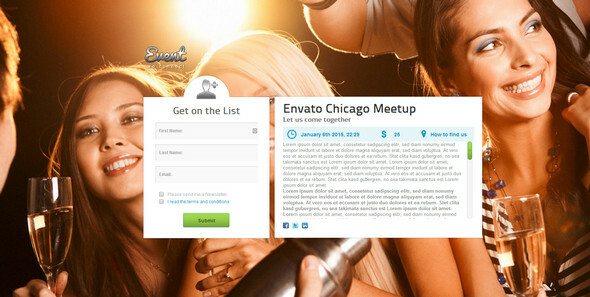 Promotion of daily events and selling tickets through this website template is easier than you think. The listing is without much hassle and straight to the point even for new users. Create events with a click and share to any social networks through its plugins and with mailchimp support for your email marketing. A premium location guide plus a blog ready theme for guiding your customers to your listing with ease and carefully crafted descriptions. Works great on retina ready displays as well as mobile end devices by featuring a responsive theme layout. 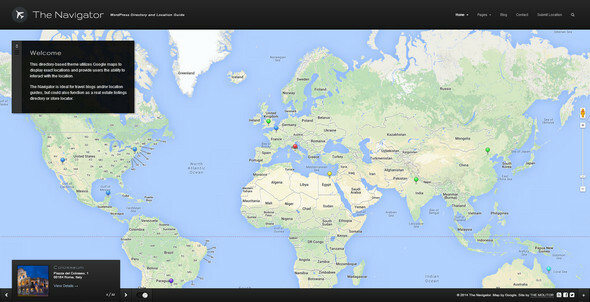 A full screen is allotted for the map search engine with locations pin pointed in style to catch attention. Choose between full width or narrow width with a light skin tone. Overall customization of the theme is easy with the theme builder but might take a bit to get used to. 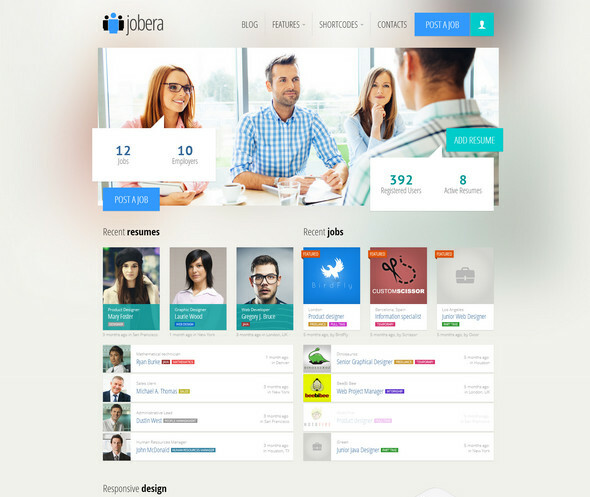 WpJobus theme provides us with three interactive layouts suitable for job portals, one page resume websites, company profile showcase. Boasts itself as a standalone theme with more than 100+ features built in to work straight away with your business needs. Your customers will definitely love this unique flat blend theme with great responsive design and ui. Couponer is a theme for coupon display and to offer discounts for every product you have put online. 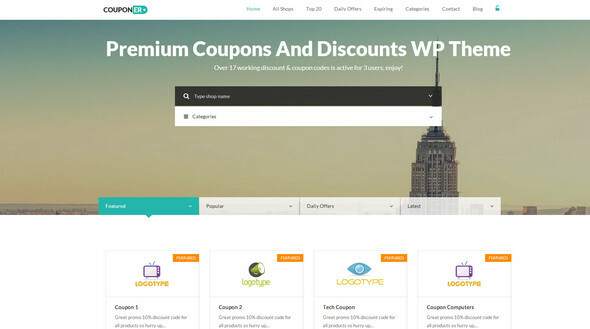 You have the option to display daily offers and also to categorize your coupon search for easy access quite beautifully with this modern theme. Ajax category, search makes this theme highly interactive without having to seek through multiple pages. Retina, responsive theme is essential for latest websites and this theme has ample support for any device. This is a perfect wpml compatible theme with front end easy submissions and unlimited skin capabilities possible through theme options. Find responsive design much more intriguing with this theme as this theme also offers great way to build your own content layouts. 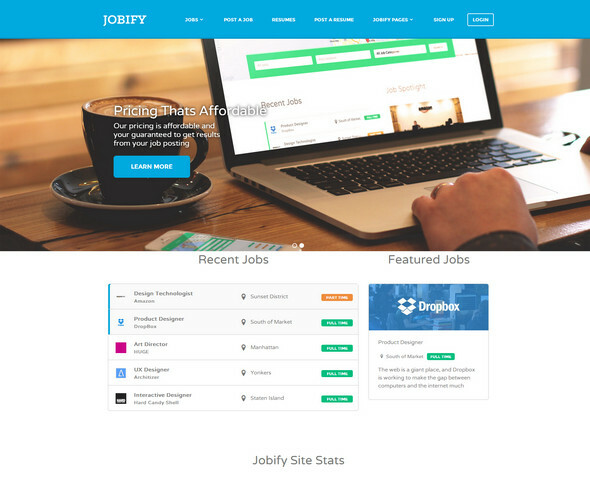 Create a community of employers and employees with Jobify fully responsive theme. This theme showcase an amazing job listing for a professional look and feels similar to a freelancer website. Also create memberships where users subscribe in order to post jobs and you can choose between two themes where the other will let you show a homepage job map with search. Another great coupon showcase theme for listing discount coupons , daily offers to your website visitors. 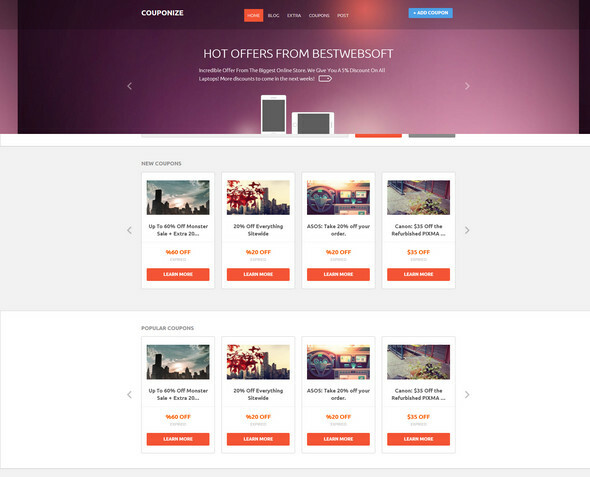 You can use this theme to kickstart a website for featuring all kind of offers and discounts / coupons from all kind of websites, while earning affiliate commissions. 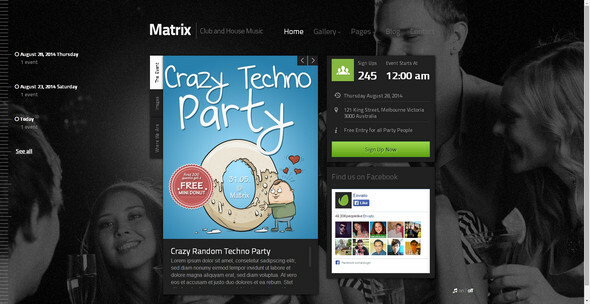 Set events with date, ticket numbers and price and it is as easy as it gets with this unique event listing theme, Matrix. Fast loading page improvements and a dark theme layout will be the key for musical events.